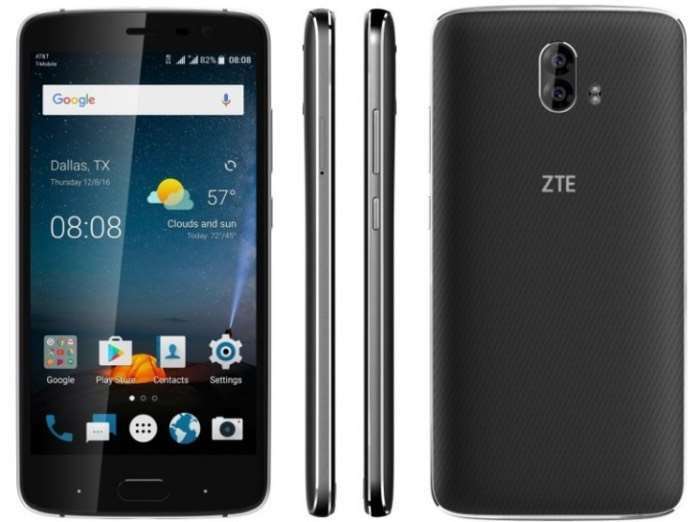 ZTE are expected to announce some new smartphones at CES this week and now one of the handsets has been leaked the ZTE Blade V8 Pro. The ZTE Blade V8 Pro features a 5.5 inch display with a Full HD resolution of 1902 x 1080 pixels and it comes with 2.5D Gorilla Glass 3. The device is powered by a Qualcomm Snapdragon 625 processor and it features 3GB of RAM and 32GB of built in storage. If you need some extra storage there is a microSD card slot fore expansion and the device comes with a 3140 mAh battery and high end cameras. On the front of the ZTE Blade V8 Pro is an 8 megapixel camera for Selfies and video chat and on the back there are two 13 megapixel camera with phase detection auto focus and the ability to record 4K video, the handset comes with Android 6.0 Marshmallow.